It was a full house at the Santa Lucia River Club Ballantrae for the 9th Annual Steak & Stake Dinner and Auction presented by Lee Plastic Surgery & Laser Center benefiting the Boys & Girls Clubs of St. Lucie County. Over 250 guests enjoyed a one-of-kind futuristic event organized by Co-Chairs, Tricia Lee & Jason Hoffman. Guests were able to interact with Club members while they relished a delectable Steak dinner compliments of Outback Steakhouse followed by a delicious dessert provided by The Cake Lady. "Steak & Stake is such a special event for me. It means that I can give opportunities to children in our community that may not otherwise have them. I am motivated by knowing the more money I raise each year, the more Boys & Girls Clubs can do for their members. Every child has potential to be something amazing and I hope we can reach as many children as possible!" stated Tricia Lee. Entertainment was provided by the members of the Boys & Girls Clubs Infinity and Ken Pruitt Units, Wild Roses and Traxx Entertainment. Club members dazzled guests with a dance and fashion show wearing unique costumes and accessories they made thanks to staff, Melissa Finch, and Julia Crespo, a local Girl Scout, who donated time, effort and materials. Guests were also astounded by keynote speaker, Aleshia Johnson, Boys & Girls Clubs of St. Lucie County’s 2016 Youth of the Year. Throughout the night guests bid on a multitude of unique live and silent auction items, took their chance at a Grand Raffle and answered a call to the heart appeal. The Steak & Stake Dinner and Auction brought in over $86,000 for programming thanks to the generosity of sponsors and guests. A College Tour for Boys & Girls Clubs junior and senior members was sponsored by Joey Gambina from Tutto Fresco and Mr. & Mrs. Thomas. An Arts Program was sponsored by The Lee Family and The Thogersen Family and a Culinary Program was sponsored by Mr. & Mrs. Howard. The Clubs offer daily access to a broad range of programs that promote health, social, educational, vocational, character and leadership development. 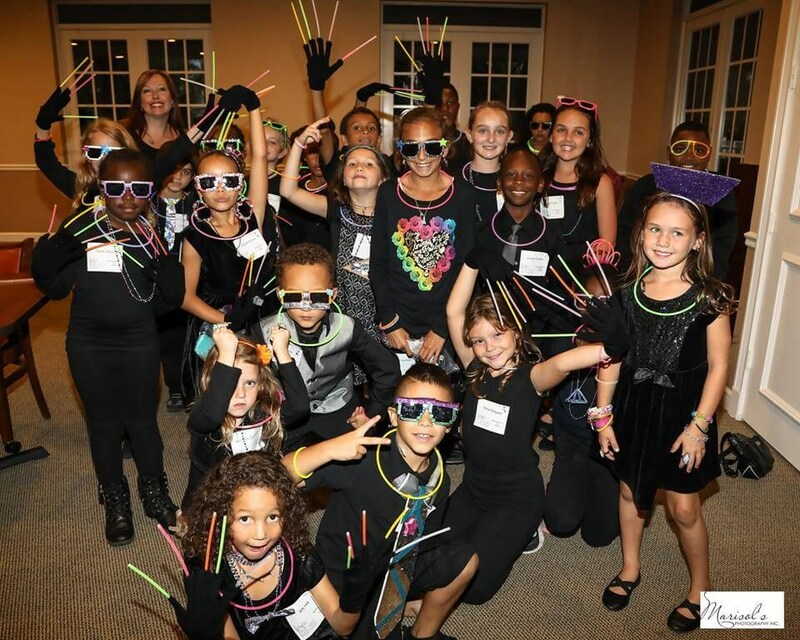 Club programs foster a sense of belonging, competence, usefulness and influence that builds self-confidence and self-esteem for 6000 St. Lucie County youth every year. This year’s Steak & Stake’s title sponsor was The Lee Plastic Surgery. Other sponsors included Publix Super Market Charities, Traxx Entertainment, Outback Steakhouse, GL Homes, St. Lucie County Sheriff’s Office, Keiser University, Southern Eagle Distributing, Merrill Lynch Bank of America Corporation Lum Wealth Management, Nelson Family Farms, Ranger Construction, All Smiles Dentistry, Fort Pierce Utilities Authority, Coca-Cola Beverages Florida, PNC Bank, Harbor Community Bank, St. Lucie Mets, Treasure Coast Lexus Toyota, Silver Platter Entrees, Waste Pro, DMHB, Treasure Coast Ear, Nose & Throat, Professional Firefighters & Paramedics of St. Lucie County, Port St. Lucie Police Department, St. Lucie County Fair, Martin Health Systems, Programing Methods of Florida, Julia Crespo For the Love of Dance, Paella King, Eva C. Photography, Marisol’s Photography, Randy Perkins Congress and many others. The Boys & Girls Clubs of St. Lucie County is a nonprofit organization dedicated to providing youth with a world class Boys & Girls Club experience, assuring that success is within reach for every young person who walks through our doors, and that every Club member graduates high school with a plan for the future, demonstrating good character and citizenship and living healthy lifestyles. The Club enables all young people, especially those who need us most, to reach their full potential as productive, caring, responsible citizens. With seventeen locations throughout the county, the Boys & Girls Clubs programs serve a diverse group of kids age 5-18. The 3,000 members come from a variety of backgrounds. Contact the Club by calling (772) 460-9918, visiting www.bgcofslc.org or follow us on Facebook, Instagram and Twitter.